Let's turn back the clock to the fall of 2009. I was the sole blogger here at All Freelance Writing. Traffic was already fairly significant. But my posting was sporadic at best. I'm a busy person. I had multiple sites to manage (the ones that earn more and help support AFW so we don't have to completely whore out to advertisers here), client projects to take on, a book I was working on (and still am), and well, I'd like to think I also had some semblance of a life. I knew I needed to post more frequently and more regularly if I wanted to turn All Freelance Writing into a better resource. And given that I wanted to put time into a new design and new tools for writers as well, that would mean less time for blogging rather than more. I had two goals for All Freelance Writing's traffic (pageviews) at that time -- based on starting a little below 100k pageviews per month (already doubled from the previous year). I wanted to hit 150k pageviews at least three months in 2010 (we did early on). I wanted to hit 200k pageviews at least once in 2010. I haven't quite reached that doubling status yet this year, but I have seen more than an 80% increase in pageviews already. Let's talk about how I did it, and how you can too. And don't worry. It doesn't involve shelling out thousands of dollars for pay-per-click (PPC) ad campaigns or employing any sleazy marketing tactics. I promise. I'm a big believer in quality material and resources -- giving people things they can use or posts that will inform, educate, or entertain them. And that's what I did to increase traffic -- I increased those kinds of posts and resources. Let's take a look at the specifics of how we dramatically increased traffic here in a few months' time. I wanted to get All Freelance Writing to the point where there were daily or near-daily posts going up. I know some bloggers swear by infrequent posting because it gives people more time to comment on each article. On the other hand I take the perspective that if you write something worth commenting on, they'll comment even if it's not your newest post (and we've seen 50-100+ comment posts here even with them buried beyond the homepage with newer posts so it hasn't been an issue). In my case I knew I couldn't post that often on my own and still take care of running other aspects of business. So I hired a team of contributors to help me out. I know that isn't a realistic option for all bloggers. And if you're only running one blog you'll probably have more time to post more frequently than I did at the time. So if you don't have a budget to branch out into a team environment (or it's just not your style), you can post more frequently on your own. Keep in mind that you don't necessarily have to post daily. Adding one or two extra posts per week might be enough. That said, I've found that the more we post the more traffic we get (even better with multiple posts per day). But I try to find balance here. I don't want short updates with news snippets and such just to up the post count. Some blogs seem to have success with that though, and perhaps it would be more appropriate in your niche. Sometimes blogs are targeting a bit too narrow of an audience. While you don't want to target such a broad audience that you can't possibly interest people regularly, you clearly limit yourself if your market is too small. 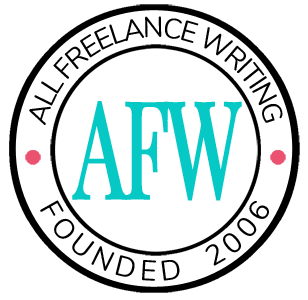 Freelance writing is a fairly small niche as it is -- at least compared to others I write in. I predominantly handle blogging and business writing, specifically for the Web. I can write about those topics at length. But there were members of the freelance writing community I wasn't reaching out to -- namely print writers and work at home parents trying to make a living (or part-time income) freelancing. I very rarely do print work, and when I do it's ghostwritten for clients for trade publications. So I wasn't comfortable covering it in a broader way. I'm also not yet a parent, so I couldn't discuss the challenges and rewards of freelance writing for those who are. And those were rather large segments of the freelance writing community to ignore. Again, I hired contributors who were specialized in those areas (and others). You can reach out to a broader audience without hiring a team though. For example, you could solicit guest posts from people who can write about things that you can't. Or you could conduct interviews to get expert insight that you don't have yourself. You don't have to spend a cent to do that, and it can greatly improve your traffic (I've found interviews to be the better option of the two, but you might have a different experience). I already knew the value of injecting your blog with personality and not being afraid to tackle controversial topics you believe in. Those were things I did fairly well with my now-retired PR blog at NakedPR.com. But for some reason this blog was still much too tame for me. I didn't feel like myself here and it showed in my writing. I got sucked into the mindset that you had to be sickeningly "nice" (on the surface at least) to make it in this niche. And then I said "f*ck it." I opened up much more over the last year about my opinions on various industry issues like the exploitation of freelancers, lies told by content mills to pull writers into their models, and freelance marketplaces offering clients tools that potentially lead to freelance rights violations. For me to go into rant mode I have to be passionate about something. But now when I feel that kind of passion for the topic, you know about it. And we've had not only an increase in traffic every time I do post one of these articles, but some great conversations about serious issues along the way. What I don't suggest is looking for controversy where is none just for the sake of constantly being controversial. But don't shy away from saying what you think. Readers really do appreciate it. And if they disagree, really, so what? Start the conversation. Blogs by their very nature focus on your most recent content. But your best material might not be your newest. If you have gems in your archives, are they still bringing in plenty of traffic? Could they bring in more? Probably. But only if you help readers find them. Remember, just because you wrote something a year ago, that doesn't mean it's any less relevant today (well, unless it was a news post I suppose). Here we've done that in a few different ways. The one that had the biggest effect was a relatively simple change to the code that changed the format of some of our blog archive pages -- most importantly the category pages. If you visit a category page here you'll see a long list of post titles linking to the posts. All of the posts are linked to from one page. By default, WordPress shows the actual posts (or excerpts) similar to the blog's homepage. And readers have to scroll through page after page to view older posts in your categories. As a blog reader I knew I wouldn't visit more than 2-3 pages max, and I'd never get to the much older posts that way. Keep in mind, readers aren't always searching for something specific. If they just found your blog, they might want to take a more general look by browsing your archives for older posts. If I remember correctly at the time we made that change, we saw about a 10% increase in traffic the following month. Even with people viewing fewer category pages, they were viewing more posts. And it's your posts that will get their attention and keep them coming back for more. Not your archive pages. You can also do this with related post plugins, adding links to popular posts to your sidebar, or adding links to old posts within the content of your new posts. Something else that helped us boost traffic at All Freelance Writing was the release of free online tools and resources for freelance writers. I put together a collection of tools that I knew would be useful specifically to our target audience here. That included professionally-created free WordPress themes for writers who wanted to start their own blog, free tools and calculators like our freelance hourly rate calculator and keyword density analyzer (with a special highlighting feature that's especially useful for writers who care about more than SEO), and more. Some of these tools are things I outsourced to coders and designers. Other things (like e-books, reports, and templates) I created myself. You can choose either route depending on whether you have more time or more money to throw at their development. But yet again, you can do what we did without spending a cent. Free .pdf forms and templates are often popular for example. As you can see, we didn't have to engage in any shady promotional tactics to see a significant increase in blog traffic. And everything we did, you can do too. Have you increased traffic on your own blog recently? How did you do it? If you have other tips to share, feel free to do so in the comments. The fourth point is one thing that I’ve appreciated about AFW. I cannot tell you how many times I have looked back through your archives and followed the advice I found. AFW is extremely helpful! With your archives being so accessible, I return often. I would love to do something like that on my blog. Who could I talk to about changing my code? I’m not 100% sure how I did it off the top of my head. But tomorrow I’ll look at my theme code and see what I changed to make it work. I’ll do a short post for anyone who wants to learn how to do the same (specifically for WordPress at least — I can’t really speak to other blog platforms). Personally I love the big list idea for categories because it’s quick to browse for things that catch my eye, I can see a nice-sized collection of the latest posts there all above the fold, and I can do a “find” search on the page in my browser if I’m looking for a specific keyword (WordPress’ search results are notoriously bad, so I find that helpful). I’d really appreciate it! Yeah, the list is awesome. I feel like if my readers feel like I have said something meaningful and want to read more, how will they be able to do it effectively without a list? The post is written and scheduled to go up really early tomorrow morning. So you can see how I did it then. Just be forewarned that the same thing might not work with all themes equally, depending on which files are dictating your category page styles. And always glad to have you on board! This is a great post. Lately my thoughts have been on increasing the readership of my blog and working on posting more frequently. I am not able to hire writers at this time, but I am considering asking for quest posts and doing interviews with industry experts. You offered some great tips and I am going to see how I can work some of the tips into my program. Can you believe it was only 2009? Jenn, I love your practical and well-documented tips. AFW is one of my favorites for ideas on improving what I do. Your generosity and time in sharing is GREATLY appreciated. I think controversial topics are great. There are some people that can’t pull it off well, though. I’m talking about the ones that take a side on something, but the argument they present is wishy-washy. You can’t tell which side they’re taking. Then there are those that will post a so-called controversial topic, but you can tell that they’re really just setting you up for a sale on a product or something. I’ve seen a few self-help blogs doing this lately and promptly unsubscribed to their blogs. It’s great for SEO to get you to their site, but it sure won’t keep me there.